Mother is the story of Cath, Dave and their daughter Mia as they face a devastating Cystic Fibrosis diagnosis. More than that, it's a story about little things. About actions and consequence. Cause and effect. The ripple effect that can bring a world crashing down. Cath and Dave tried for years to conceive a child, finally realising their dream after many failed IVF attempts. This diagnosis of CF plunges the family into a scary world, where they must learn to navigate this illness and try to protect their daughter. Cath crumbles and finds comfort in a support group. Dave buts on the bravest of faces and throws himself into the practicalities and living a 'normal life'. The couples different coping mechanisms grate on each other and this tension helps to create the most brooding atmosphere. “My smile was fading, but his was wide and bright like a row of circus bulbs.” - Cath on Dave. At the CF parents support group, Cath meets Richard, a charming man who's daughter has Cystic Fibrosis. Richard is focussed on the cure, immersed in the latest publications and research. His charisma and faith buoys Cath up and gives her hope that there really will be a cure. I feel like this would be me in that scenario, desperate to believe there is a way out and determined to do my part to make it happen. It soon becomes clear that Cath and Richards relationship is developing into something more with potentially deadly consequences. Both parties, and the reader are well aware that children with CF cannot mix due to potential exposure to germs. Their parents too are meant to keep contact to the bare minimum. I definitely struggled with this as it was clear Cath was looking for comfort and clinging on to the hope that being around Richard offered. However, she knew the risks. That said, we can't judge not having not been in her shoes. 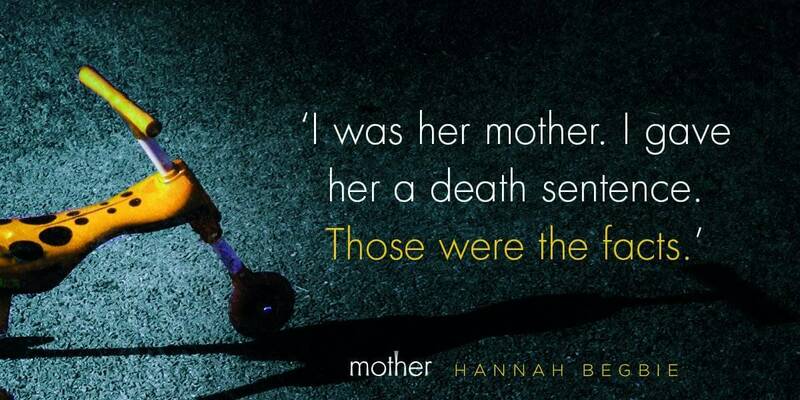 I think what makes Mother so compelling is that Hannah Begbies own son has Cystic Fibrosis. I feel like she really shines a light on the condition in this novel and speaks for many parents who want to scream in the face of platitudes. 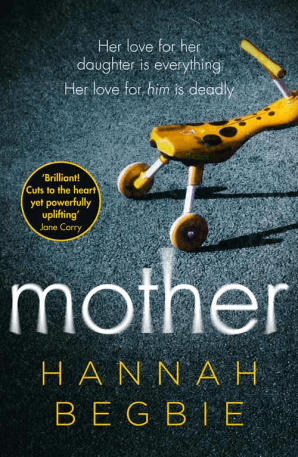 Mother is certainly not an easy read, but it is very moving and certainly made me appreciate my own healthy child all the more. I would have loved to have seen Dave developed a little more but I thoroughly enjoyed the novel. Mother has already been optioned for a TV show so i'll be equally nervous and excited to see how it's interpreted for the screen.